Broken and damaged teeth can turn into big dental problems if they are not tended to quickly. If the discomfort isn’t enough to encourage you to see your Chester Hill dentist, it can help to know that you aren’t necessarily destined for a porcelain crown. 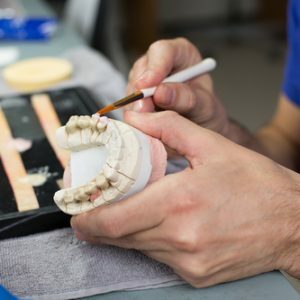 Dental inlays and onlays are a conservative approach to tooth restorations, and this non-invasive dental repair is available from Dr. Chi Fu, cosmetic dentist in Rye Brook, NY. Dental inlays and onlays are used to repair teeth that have mild to moderate tooth decay, or teeth that are damaged but do not warrant a full dental crown. 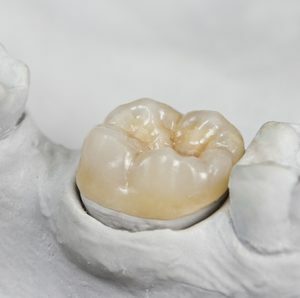 The inlays and onlays can be made using porcelain, composite resin, and even gold. Porcelain is one of the most common choices for its ability to mimic your natural tooth color and blend in with the rest of your teeth. Are You a Candidate for a Dental Inlay or Onlay? Teeth that are deteriorating or that border problem teeth can be stabilized to prevent further dental problems from developing. Versatile – able to repair multiple dental problems. Natural appearance – virtually invisible compared to metal fillings. Less-invasive procedure – minimal removal of tooth structure which preserves the tooth. Excellent fit – will not expand or contract because of temperature. Longevity – can last up to 30 years, longer than any other type of filling. Typically, two visits to your Rye Brook, NY, cosmetic dentist are required to place your inlay or onlay. During the first visit, an impression of your tooth will be taken then sent to a lab for the creation of the permanent inlay or onlay. Your problem tooth will be fitted for a temporary restoration to protect the tooth in-between visits. This protective material will be removed at your second visit so your new permanent inlay or onlay can be bonded in place. Your Westchester cosmetic dentist will present you with all the pros and cons of dental inlays and onlays and porcelain crowns so that together you can make the best decision for your tooth restoration. Crowns are considered an excellent solution for many damaged teeth. However, when a great deal of tooth structure will need to be removed to make room for the crown, an onlay may be the smarter choice. Onlays often help prevent dental complications and minimize the chances of more problems in the future. If you have a problem tooth but are concerned about the type of repair you will need, contact our Chester Hill Dentistry office and make an appointment with Dr. Fu to discuss your cosmetic and restorative dentistry options, including dental inlays and onlays. We serve the residents of Rye, Westchester, Port Chester, Rye Brook, and surrounding areas, including Greenwich, CT.